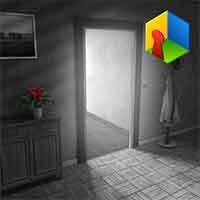 Solution for Try To Escape Level 9 Walkthrough – Play as detective to help the woman to escape in this detective story room escape theme and prove your room escape skills ! Try to solve puzzle, pick items and most important – find your way to escape. Collect 15 silver coins to unlock the secret room ! go out and use the photo on left door then the door will open ! This entry was posted in try to escape on September 15, 2016 by 100doorssolution.